Home TopicsInvestment Strategies	Is This the Single Best ETF to Own in a Down Market? Is This the Single Best ETF to Own in a Down Market? This past weekend, I met my friend Stephen at London’s Anglesea Arms pub for a pint of lager. Although we met at a haunt once frequented by Charles Dickens and D.H. Lawrence, our topic of conversation wasn’t literature. It was the state of the global stock markets. “This is getting painful… Everything that went straight up all year is now going straight down. There’s nowhere to turn,” he lamented. Now, Stephen is one of the most successful portfolio managers I know. He’s got one of the best track records in the business. But with his style of investing – betting on high-growth small cap stocks – his funds have been walloped. And even an investor with his experience and track record can’t help but be unnerved by the recent market sell-off. No single investment strategy works all of the time. Some strategies thrive in “go-go” bull markets. Others shine when the market bear is growling at the door. But here’s what’s different about the kind of sell-off we’re seeing now compared with, say, the market meltdown of 2008. Unlike then, you can now use exchange-traded funds (ETFs) to adjust your investment strategies at a click of the mouse. 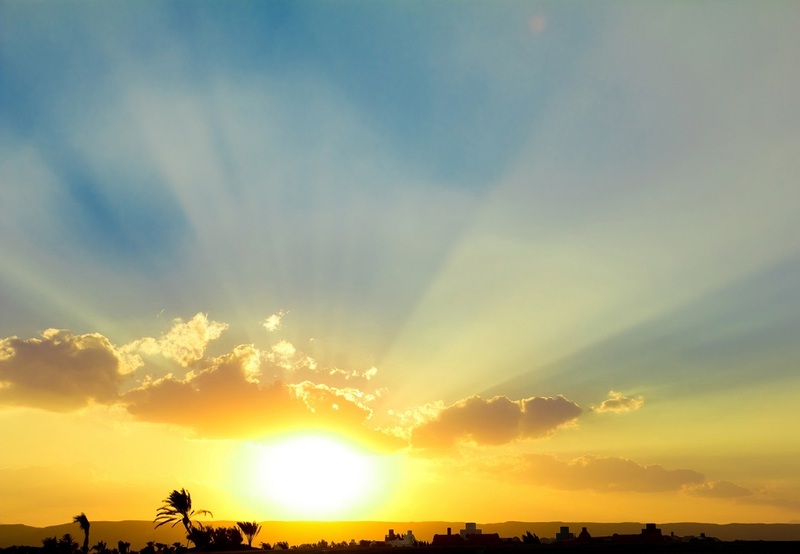 Investment strategies that were golden earlier this year have now fallen out of bed. This almost decade-long bull market has endured its steepest and sharpest drop in years. Yes, there were other tests of investors’ mettle since the markets bottomed on March 8, 2009. First, there was the “flash crash” of May 2010, when all liquidity for stocks and ETFs vanished in seconds. More recently, the sudden market sell-off in February of this year tested investors’ patience. Each of these events prompted investors to look for relative safe havens in the storm. I’ve identified two investment strategies that have fared well during the recent market turbulence. The first invests in low-volatility defensive sector stocks. As such, it favors utility stocks over tech stocks, consumer defensive stocks over healthcare, and real estate over financial services. The result? Solid returns with a steady ride that is far less volatile than the overall stock market. The second strategy invests in high-dividend stocks. High-dividend stocks are generally companies with long-established business models that throw off a lot of cash to their investors. Among the best known targets for this strategy are the “Dividend Aristocrats”: S&P 500 companies that have increased their dividends each year for at least 25 years. Today, 53 members of the S&P 500 make that list. Over the past 10 years, the S&P 500 Dividend Aristocrats Index has returned 13.6% compared with 11.97% for the S&P 500. So, what if you could combine these two strategies? 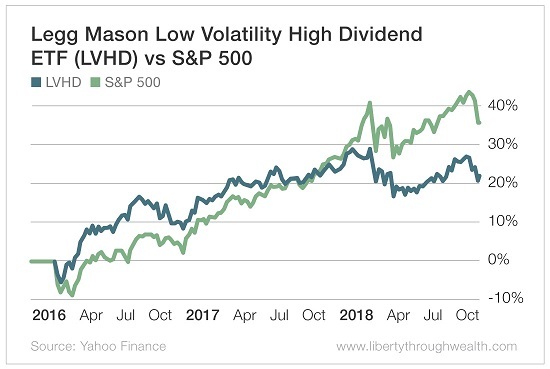 As it turns out, the Legg Mason Low Volatility High Dividend ETF (Nasdaq: LVHD) does just that. This ETF combines a quant investor’s approach to identifying low volatility with a dividend investor’s focus on high yields. And that has resulted in a powerful combination. 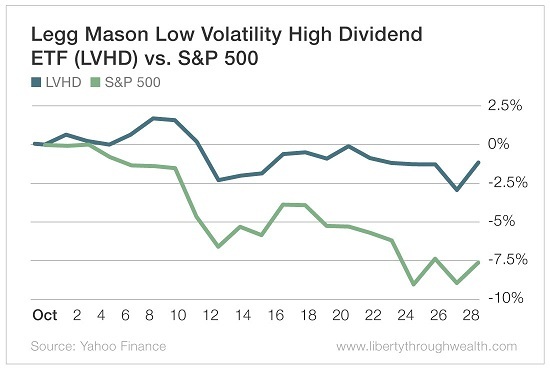 So how has the Low Volatility High Dividend ETF fared during the October sell-off? Over the past month, it’s dropped by two-thirds less than the broader S&P 500. Pop the hood on this ETF, and you’ll easily spot why. Equally importantly, the ETF has a zero weighting in technology – the sector that has driven most stock market returns until recently. Second, it focuses on high-dividend stocks that together generate a quarterly yield of 3.55%. That’s more than twice the 1.73% yield on the S&P 500. Its performance versus the S&P 500 over the past three years is far less impressive. No investment strategy works all of the time. 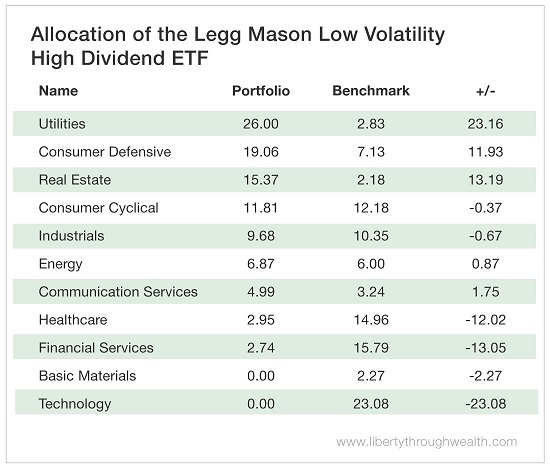 But, for now, it looks like the Legg Mason Low Volatility High Dividend ETF’s unique combination of low volatility and high dividends is having its day in the sun. Is It Time to Flee This Bull Market?